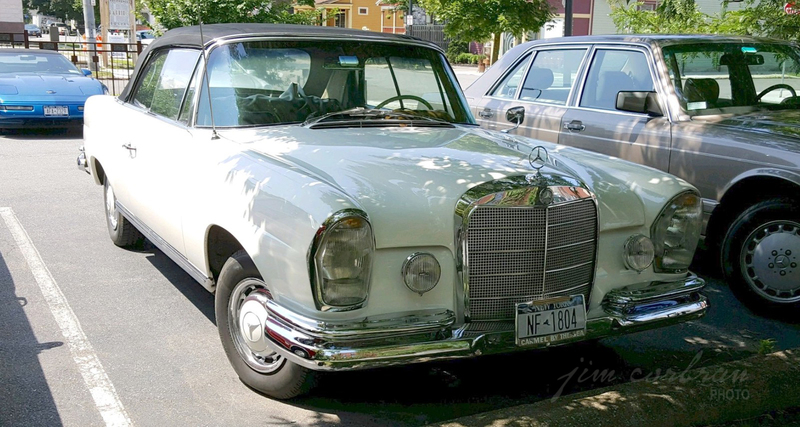 If you’re not acquainted with the nomenclature of the manufacturer from Stuttgart, the model name/numbers of this 1964 Mercedes-Benz 220 SE actually do mean something. Back in the day, the 220 meant it had a 2.2L engine (okay, it was a 2195cc engine, rounded-up for naming purposes). The S was reserved for flagship vehicles (other than your everyday four-door sedans) — it stood for Sonderklasse, or, special class. The E was for Einspritzen, which meant it was equipped with petrol fuel injection, as opposed to having a carburetor. This was a big deal in the 1960s; today all M-Bs have fuel injection — as do most other vehicles. 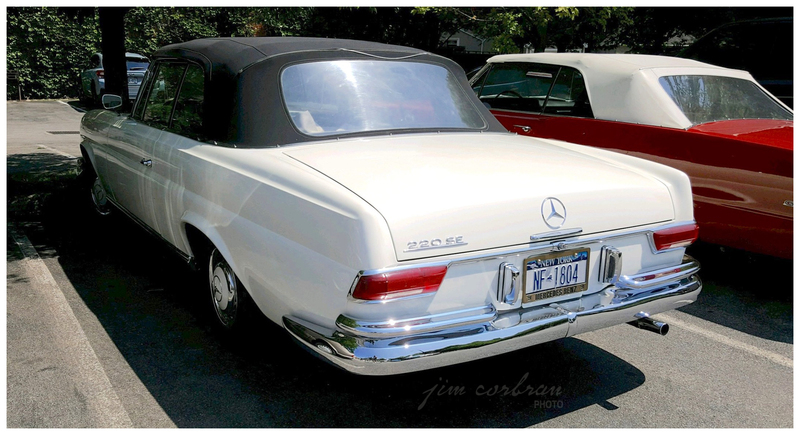 This white 220 SE was seen over the summer on Buffalo’s West Side.